Dog waste can carry disease or parasites (hookworm, roundworm, and campylobacter) which can spread throughout the dog community quickly. 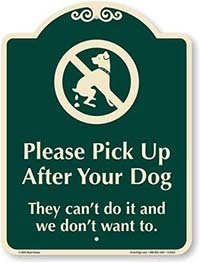 If you own a dog, clean up after your pet. There are bag carriers that attach to leashes and collars like the one for sale here (and here – and here – and here – and here). 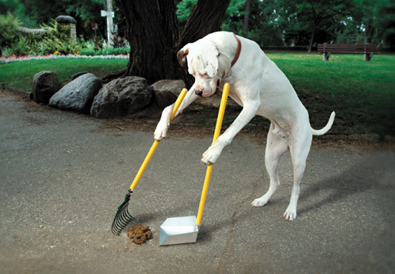 We know the vast majority of dog owners do their part and clean up. 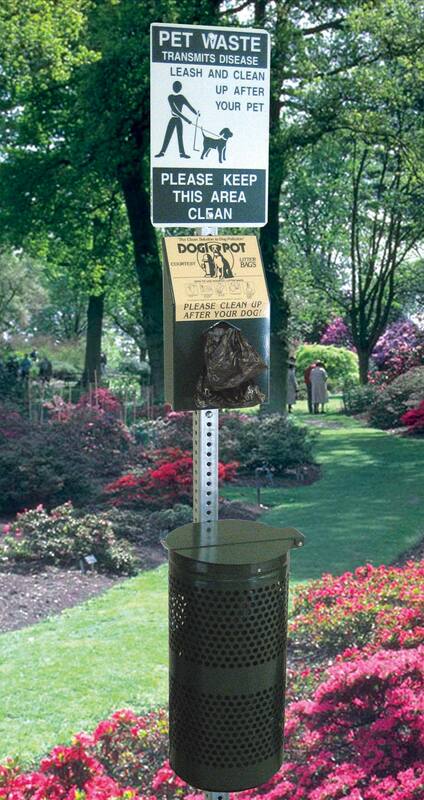 But several people have noted dog owners who dispose of the poop bags in the nearest (private) garbage bin. This seems like a logical thing to do — BUT it is a problem. Why? Many of the trash removal companies simply leave these baggies behind when hauling the big bags of trash. Why are they so picky about what they throw into their trucks? We don’t know! Unfortunately this leaves the homeowner to clean up the bags — sometimes after they have sat for several weeks unnoticed and sometimes split open at the bottom of the trash bin. Speaking from experience, it is not pleasant cleaning the bottom of a trash bin that has been soiled by an unknown dog. Solution: Take your used doggie bags back to your own trash to minimize your impact and be a good neighbor. the ongoing costs of garbage bag removal and poop bag restocking? Please write any comments or ideas you have in the comments section below or on the Facebook page for Lake Truesdale.